von OMG. I Can Meditate! Inc.
Entwickler: OMG. I Can Meditate! Inc.
Entschleunigen und schlafen Sie in nur 5 Minuten mit Ihrem persönlichen Achtsamkeitstrainer besser! Wählen Sie aus einer Vielzahl von Inhalten, um Ihnen den erholsamen Schlaf zu ermöglichen, den Sie brauchen: Schlafmusik - Playlists, Naturgeräusche, geführte Meditationen, Schlafenszeitlesungen, Hypnotherapiesitzungen usw Behandle die Herausforderungen des Lebens mit geführten Meditations-Serien, inspirierenden Vorträgen und Meisterkursen von Achtsamkeitstrainer Lynne Goldberg und den New York Times Bestseller-Experten für persönliches Wachstum. Bringen Sie mehr Glück und Seelenfrieden in Ihr Leben mit beruhigender Musik, kurzen Meditationen, beruhigenden Videos und Atemübungen, die Sie jederzeit und überall anwenden können. Wählen Sie aus Hunderten von Titeln den Inhalt, den Sie brauchen, ob Sie Stress und Angstzustände lindern, Schlaflosigkeit stoppen, Gewicht verlieren, Ihre Gedanken schärfen, Ihre Beziehungen verbessern, Ihre Gesundheit verbessern wollen usw. Meditationen nur in Englisch verfügbar, aber leicht zu verstehen. Selected Best New App by Apple in 95 countries. 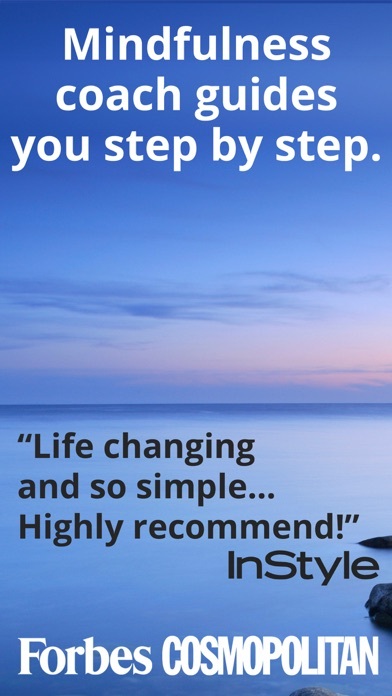 "Life-changing and so simple even my 7–year-old daughter uses it! ...Highly Recommend. " In Style Magazine "Super-easy guided meditations that even the most spirituality-averse person can get into." 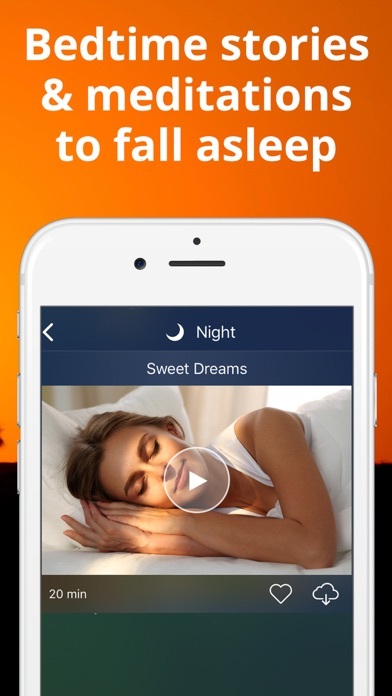 People Magazine "For those busiest amongst us, this is a great app for you." 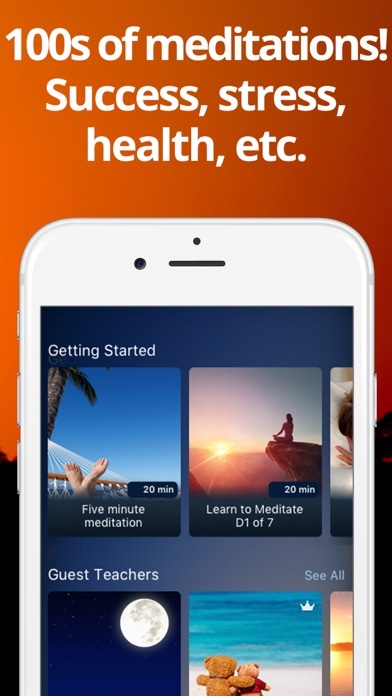 Harper's Bazaar "There are plenty of meditation apps out there, but this is one of our favorites." 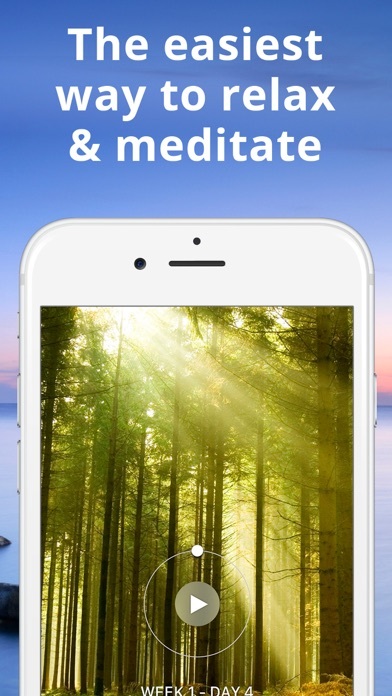 Goop "Without a doubt the best and most comprehensive meditation app available in the App Store." 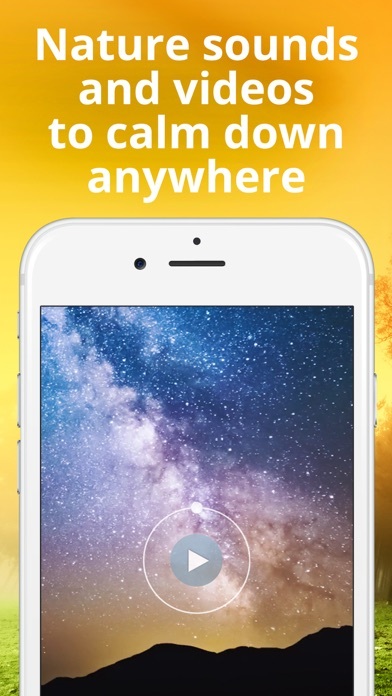 Apppicker.com " A well thought-out app, fun but serious, playful and helpful.. and very appealing." 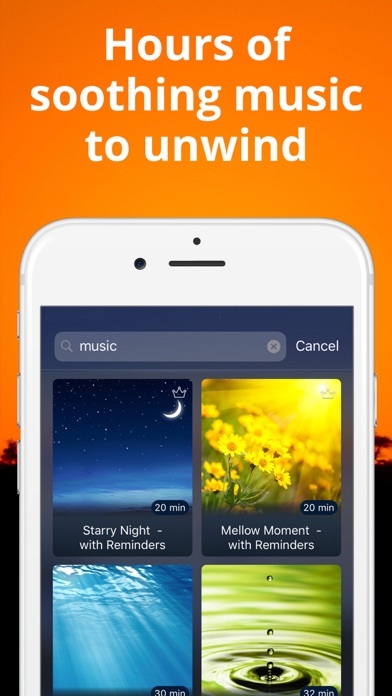 Mindful .org KEY FEATURES ¥	Hours of carefully selected music & nature sounds to help you relax, meditate, focus & sleep more soundly. ¥	Curated music playlists for various moods and occasions and the ability to create your own playlists. ¥	Bedtime stories and inspirational books narrated to lull you to sleep. ¥	Bedtime visualizations to absorb healing and positive messages while falling asleep. ¥	Hundreds of guided meditations and series for whatever you’re dealing with in your life. ¥	Short meditations you can do on the go, anytime, anywhere; at work, commuting, in lines, walking, etc. 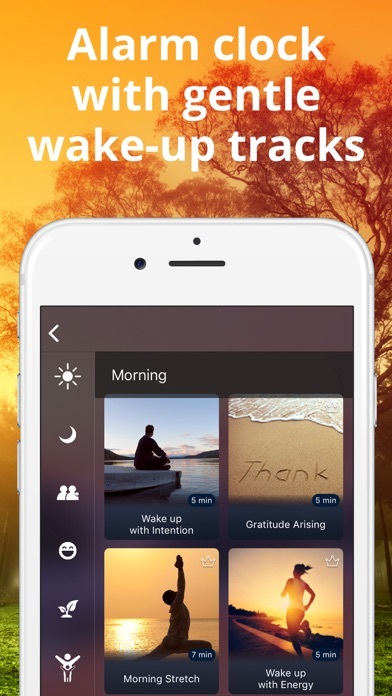 ¥	Alarm clock & morning meditations to start your day on the right foot. ¥	Full 12-week daily program to learn to meditate and progressively bring more calm and clarity into your life. ¥	Inspirational talks and masterclasses from some of the greatest personal growth teachers of our time to help you enjoy your life better. ¥	Hypnotherapy sessions to help you tackle life’s challenges and sleep better. 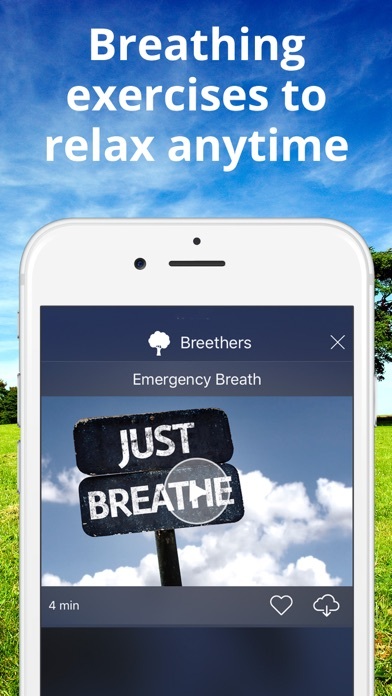 ¥	Breathing exercises and calming videos you can use to calm down in a few minutes. ¥	Available on your phone, tablet or computer. Your progress is synced across all devices. ¥	Use the Free version as long as you want or unlock all content with a Premium Membership! 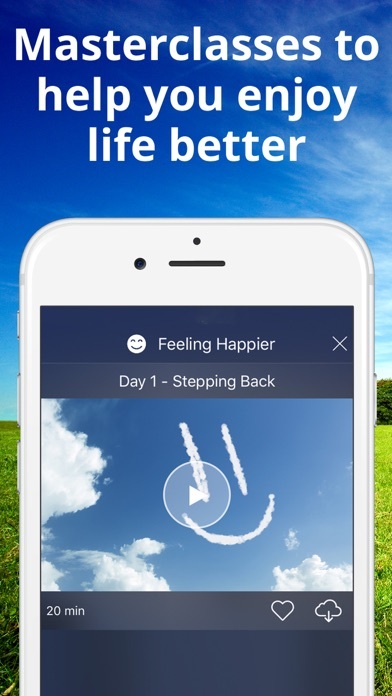 ¥	Adds mindful minutes to your Apple Health app with the Apple Health kit. NEED HELP ? Contact us at support@breethe.com. Plans: Premium membership unlocks all content and features for the duration of the subscription. Monthly: US$ 12.99 per month & Yearly: US$ 89.99 Free trial, Monthly and Annual subscriptions automatically renew at the rate secured at the time of purchase unless auto-renew is turned off at least 24-hours before the end of the current period. Auto-renewal can be turned off easily at any time by pressing Manage Subscriptions in the user's Account Settings after purchase. 2 year: US$ 149.95 does not auto renew. Any unused portion of a free trial period, if offered, will be forfeited when the user purchases a subscription to the app Prices in USD may vary due to exchange rates. Payment charged to iTunes Account at confirmation of purchase. More info, https://breethe.com/more/terms-and-conditions/ Copyright © 2015 OMG. I Can Meditate! Inc. Unfortunately this app comes with a direct subscription plan, if you believe a trial is a trial. Well it’s not, be prepared that the ITunes Store chargers you directly! Not recommended. Sneaky business!! Für die Einschlafstücke muss man erneut zahlen. Really like the app, the recordings the voices! Helped me sleep and start a meditation routine. Can only recommend it! Selten so etwas schlechtes gesehen. Die App erinnert an die Webseiten von 2000. Hauptsache viel Geld für nichts kassieren. Remove the account obligation, at least during the trial! Qualitativ sehr hochwertige App, auch die Audio Aufnahmen sind qualitativ sehr gut! 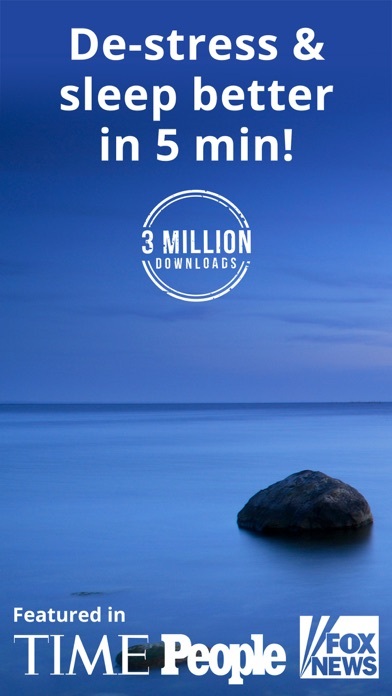 Die App ist sehr gut gemacht und die Sound sind hochwertig. Leider sind in vielen Bereichen doch einiges gesprochen. Ich verstehe zwar Englisch, aber bei ich bin bei weitem nicht soweit, dass ich in Englisch denken kann. Wenn man also parallel im Geist die Entspannungsübungen innerlich auf Deutsch übersetzt, klappt das leider nicht so wirklich für mich. Aber ich glaube ich würde die App nutzen, wenn sie komplett auf deutsch übersetzt würde. Weitere Apps von OMG. I Can Meditate! Inc.